Vrindavan. Recently, I was thinking and reading about Vrindavan. I thought about how it would be to go to Vrindavan. How does it happen? How would I do it? To learn, I checked and researched. I found the ISKCON Vrindavan website. I saw Visit Vrindavan and Travel Assistance and read. The information stated, “The most convenient airport for coming to Vrindavan is Delhi.” So, I searched several websites for flights from Jacksonville, Florida to Delhi, India. The flight times varied: 20 hours, 24 hours, 26 hours, 30 hours. All with two stops. Then, I learned that the distance from Delhi to Vrindavan is about 165 kilometers. Some methods to travel are train, bus, and taxi. The time for the trip is roughly two to three hours. In Vrindavan, some accommodations listed included guest houses, hotels, and apartments. The full truth of the statement rang out to me. 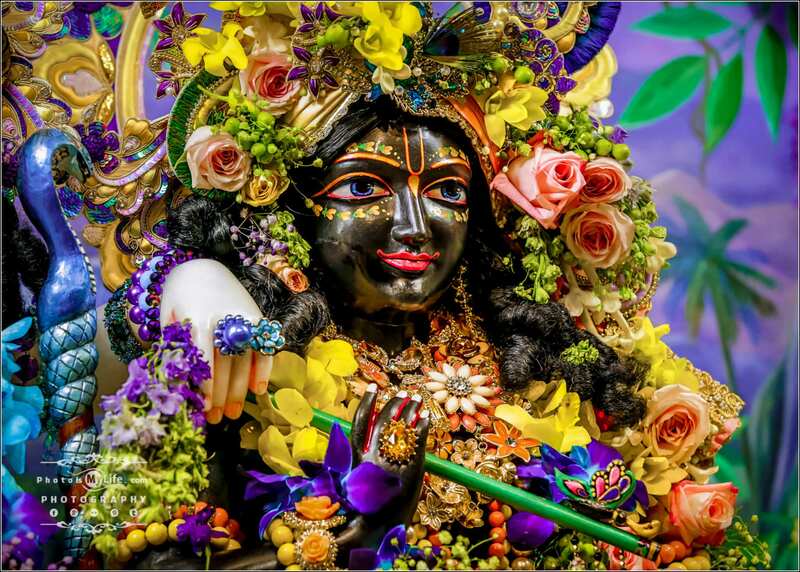 Yes, going to the Alachua temple for aratis, kirtans, feasts, festivals, service to chop vegetables, wash dishes, or serve prasadam, and more can be a pilgrimage every time. At a distance of about eight miles from my house, I drive, though I consider a bicycle ride or a walk on a day. Also, from my workplace, which is about four miles. All these options could be pilgrimage, regardless of the distance or the method of getting there. I understand that a pilgrimage is based on purpose, the deliberate intention of traveling to the place, which includes the traveling as well as the time and actions while there. In addition to the Alachua temple and activities, the pilgrimage includes the people, as Srila Prabhupada noted: their greetings, welcomes, talk, association, and participation for prayer and service together. I am enlivened, rejuvenated, and thankful on every occasion. One special time is when I arrive during the morning japa period. I park my truck on the side of the dark drive, then walk over toward the lights of the temple. Whether walking and chanting around the outside of the temple along the veranda, or inside the temple circumambulating the tulasi, standing, or sitting, the presence of the devotees chanting and the mix and blend of the devotees’ voices chanting Hare Krishna Hare Krishna Krishna Krishna Hare Hare Hare Rama Hare Rama Rama Rama Hare Hare is always fulfilling and inspiring. In addition to visits to the temple, I realize that traveling to my Bhakti Vriksha group meetings at the home of Ramiya dasa prabhu and Ananta dasi mataji is another special pilgrimage repeated every week. Every week, I turn in their drive, park beside the usual trees, step under the night-blooming jasmine at the porch entrance, remove my shoes, enter through the front door, offer obeisances to the deities, and greet the hosts. More often than weekly, I give thanks for Ramiya dasa prabhu and Ananta dasi mataji, and for all in the group for their association, for the privilege to learn, give, receive, share prasadam, and participate in service to each other, all in service to the Supreme Personality of Godhead, our Lord Sri Krishna. It is a new but familiar pilgrimage every visit that I value and cherish. While I will keep a notion of the possibility of traveling to Vrindavan some day, I understand that my views about what a pilgrimage is have changed and expanded. Now, I understand and consider my travels in Alachua as pilgrimage in every sense and nuance of the term. And I consider myself as a pilgrim in Alachua seeking and growing when journeying close to home with familiar places and people. 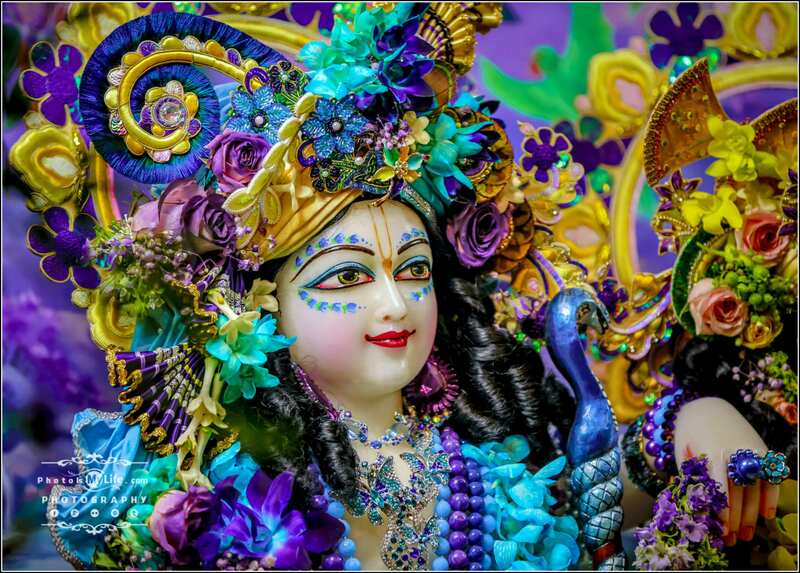 I know pilgrimage in Alachua is essential, the essence of me developing as a devotee to our Lord Sri Krishna.